Eric Shander, formerly acting chief financial officer, vice president and chief accounting officer of Red Hat (NYSE: RHT), has been promoted to serve as executive VP and CFO at the Raleigh, North Carolina-based software company. Shander will report directly to Jim Whitehurst, president and CEO of Red Hat, and oversee the company’s finance organization worldwide, the company said Tuesday. 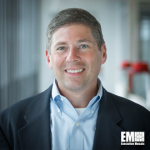 “The opportunity has never been greater for open source technology in the enterprise and for Red Hat, and I am thrilled to have Eric officially take over as Red Hat’s CFO,” Whitehurst said. Shander moved to Red Hat in November 2015 after he worked for nearly 15 years at IBM (NYSE: IBM), where he served as VP of global technology services and delivery and VP of finance and accounting at the firm’s global services business. Prior to IBM, he held VP and chief accountant roles at Lenovo.